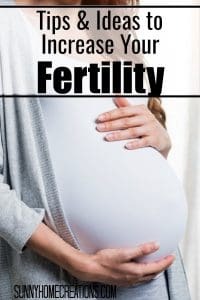 If you are looking for ways to boost your fertility and get pregnant faster, then read these tips below. 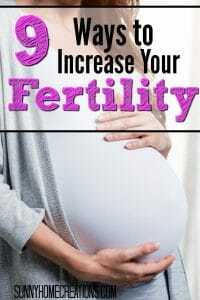 I have compiled a list to help give you ways to boost your fertility! 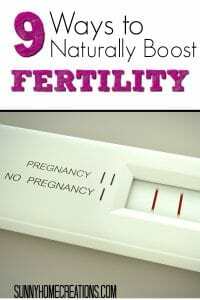 Sometimes, we struggle to get pregnant or want to get pregnant fast and are looking to find out how. So, these tips are meant for you! Did you know that fertility issues affect up to 15% of couples? If you have fertility issues, you are not alone. 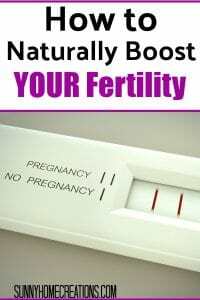 Getting pregnant can be a journey, and these ways to boost your fertility. If you have been on birth control, stop 3 months before trying to conceive for patch and pills and 9 months for depo shot. It takes awhile for our bodies to go back to normal after being on birth control. If you are overweight that can be a fertility issue. You want your body in tip-top shape. If you are in shape, that is great. Either way, make sure you are getting out and staying active. One hour of physical activity a day can help lower your risk of infertility. Start taking prenatal vitamins, even before you are pregnant. As you know they are packed full of nutrients that are good for you and baby. It can double the odds of getting pregnant, and help lower the risk of birth defects. Did you know eating a big breakfast can help those with infertility problems? A study showed that eating a larger breakfast can improve hormonal effects of polycystic ovary syndrome, which is a major cause of infertility! Whether you have POS or not, make sure to eat a healthy breakfast each day. Studies have been shown that trans fats have been linked to infertility. So make sure to cut back or limit your intake of trans fats. These can be found in margarine, fried foods, and more. Adding more fiber to your diet is a great option. This helps your body get rid of excess hormones, and keeps blood sugars regulated. Beans, fruits and veggies, whole grains are good options to add into your diet. Drink that high-fat dairy each day! Studies have shown women who consumed one or more servings of high fat dairy per day were 27% less likely to be infertile. So put that skim milk down and go for the whole! Make sure you are eating healthy at each meal. Eat all colors of the rainbow, limit your meat proteins. Also if you smoke or drink, limit or cut that out. Those two have both been known to hinder you from getting pregnant. Our bodies don’t work properly when we live in a world of high stress. Stress can be the cause of sickness and infertility. So take time to de-stress each day. If you enjoy massages or spa days, do that every now and again. Good luck on your journey to getting pregnant. I know some women have a hard time and others get pregnant right away. No matter what just do all you can and have faith that one day it will be your turn to have a baby.